One Nation leader Pauline Hanson hopes to introduce a scheme offering people on welfare benefits 10 cents per cane toad they capture. The radical new plan will imitate the successful container deposit and soft drink can schemes that have been implemented across the country. 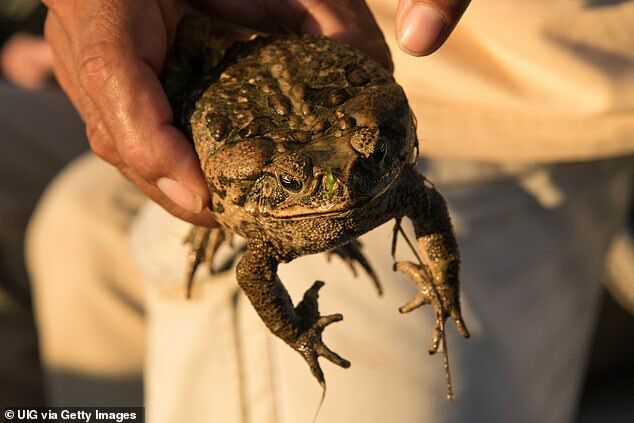 She hopes the incentive – which would run for the three month summer period that the pests are at their worst – would reduce the number of poisonous cane toads in Queensland. 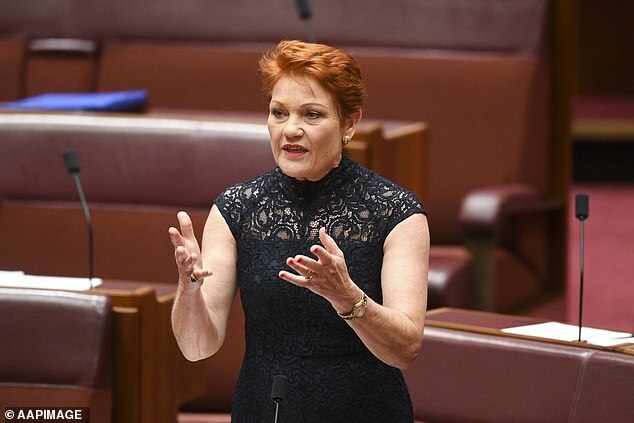 Ms Hanson would also like to see the scheme extended beyond her own state and into NSW, Western Australia and the Northern Territory. She told The Courier Mail that welfare recipients would be dispatched to hunt for the toads and ‘do something worthwhile for their communities’ under the scheme. She said the initiative would be a perfect way to engage with children and get them off ‘their iPads’, all the while encouraging them to earn some money while also doing their bit for the environment – by dropping off as many toads as they can at designated collection areas. From there, she expects the toads will be put in a freezer until they are eventually killed. The senator is said to have written to Prime Minister Scott Morrison asking for him to get behind the plan. ‘When rabbits plagued our nation, a sizeable reward was posted for the biological control of the species,’ Ms Hanson wrote in the letter. ‘Other invasive species such as European carp have been eradicated from waterways using biological measures and I believe it is time our federal parliament takes a swift, bipartisan approach into the eradication of this pest species. Her newest campaign comes after the Liberal Party slammed Labor’s proposed policy regarding jobseekers. If Bill Shorten were to be elected as prime minister, he has vowed to scrap the Liberal imposed rule that says welfare recipients must apply for 20 jobs a month to receive their payments.